“When you are inspired by some great purpose, some extraordinary project, all your thoughts break their bonds: Your mind transcends limitations, your consciousness expands in every direction, and you find yourself in a new, great and wonderful world. I can go on and on about why passion is so awesome and important. But essentially, passion is what identifies you and creates happiness for you, regardless of whatever is going on in your life. So hold on to it. Many people would be all too ready to tell you what truly creates a happy life, like chasing money. But all of them depends on too many unstable factors. 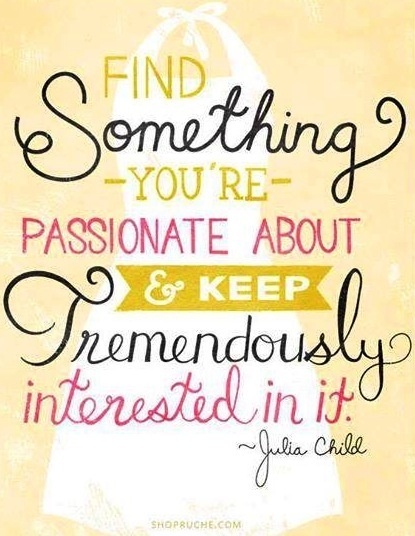 Find passion instead, and be good at it. Stop caring about what others think and let that inner fire drive your life.